9,699 others viewed this post. 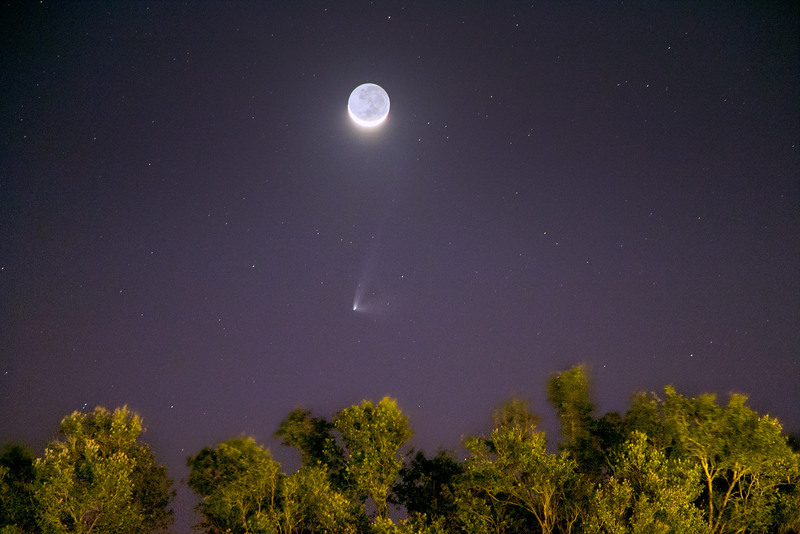 Just like that, the southern skies were suddenly graced with a beautiful comet just as the sun set, and the moon chased it over the western horizon. Just out of view with the naked eye, this brightness-enhanced image was taken using 39 exposures, separately stacked in order to show the amazing structure of this transient visitor. 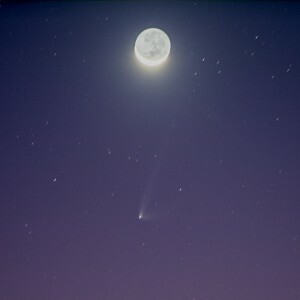 Comets normally have two tails like this, a dust tail and an ion tail, but you might be able to see the longer tail here split in two also, making it a three tailed wonder! This was taken a few nights ago with my regular Canon 70D DSLR on a tripod at f4-5 – 5.6 / ISO 1600.